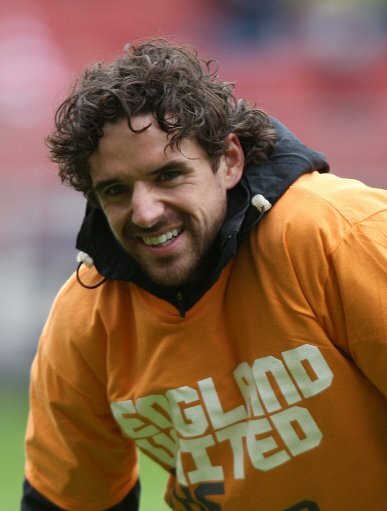 The specialist knee surgeon that saved Alan Shearer, Michael Owen and Ruud Van Nistelrooy (amongst others) from early retirements, Dr Richard Steadman, has revealed that Manchester United midfielder Owen Hargreaves is now close to making a return to full fitness after spending the best part of two full seasons on the sidelines. The problem was with the tendon attached to the patella on each knee, which is difficult to resolve. After the surgery, the key was rest and working hard on recovery. Owen has spent a lot of time with us here in Colorado and he just has such a great work ethic. He’s never given up and we never gave up on him. The recovery was arduous and took a long time, but Owen is a patient patient and his condition looks promising now. You can’t rush this type of injury and have to be very patient. Not that I don’t trust the judgement of one of the world’s most well-regarded knee surgeons, but…this is the same Owen Hargreaves who hasn’t kicked a ball in anger since September 2008. Go away and talk about your football stories with Darren Anderton………….. another england ‘legend’ that was over rated and crocked. horse placenta not good enough for him? One more comeback, one more diappointment? Hope not, at 29 he’s got a few years good football in him. Good. He’ll play 90 minutes spread over 5 matches, receive a national team call up, and then be back on the injured list. Would love to see him back playing because he’s a fine player and would be a guaranteed England starter if fit. That is a massive ‘if’ though.